Simply put, we offer the best gear at the best price with the best customer service. No hype. No fluff. Anything short of this would go against our Red Dragon Ironclad Code. 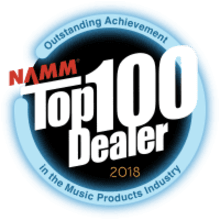 As a NAMM “Top 100 Dealer” for three years running, we offer clients an unmatched buying experience. Thanks for your interest - we hope to welcome you to the Red Dragon Family! The foundation of client service is honesty. Being sincere extends to all facets of our store, including the products we stand by, the pricing we offer, and the relationships we produce. Compromising on gear quality is out of the question. 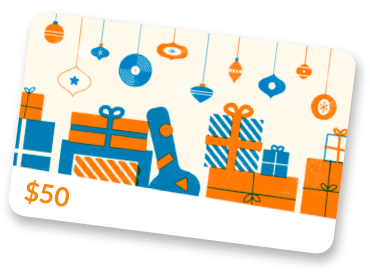 The brands we promote reflect hours of personal experience and research spent to identify only the top guitar luthiers and product manufacturers. We refuse to sell items we wouldn’t ourselves use. While high-end gear is on the pricier side, we acknowledge this and offer a lowest price guarantee on all inventory. Too often do you see dealers gouging customers for better margins. It is our firm conviction that long-term relationships trump one-time sales. Client experience is at the heart of Red Dragon Guitars. A store is nothing without a customer-oriented approach that is transparent, comprehensive, and prompt. We have a Red Dragon expert with 15+ years of industry experience on standby to provide detailed responses to questions in a timely manner. His service includes the fastest possible build quotes, advice on specification differences, guidance for wood choice, etc. Shoot us an email, and we will do everything in our power to offer you an unparalleled buying process! This includes email correspondence, phone calls, and even skype sessions to pinpoint your exact needs - whatever it takes! As previously indicated, Red Dragon’s staff are highly knowledgeable in every aspect pertaining to guitars and related gear. Textbook knowledge is unsubstantiated without real world practice. With close to 50 years of combined experience, our reps are prepped to handle the toughest questions with a level of specialization that is unmatched.